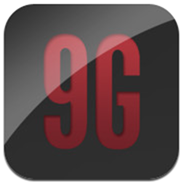 9Gag Mobile For iPhone Is The Best 9GAG App We’ve Ever Come Across – Download Now! If you’re a procrastinator, a wilfer (someone who spends time aimlessly surfing the Web), or just a fan of all things amusing, then you’ve probably heard of 9GAG. For those uninitiated, perhaps a little background information is in order. 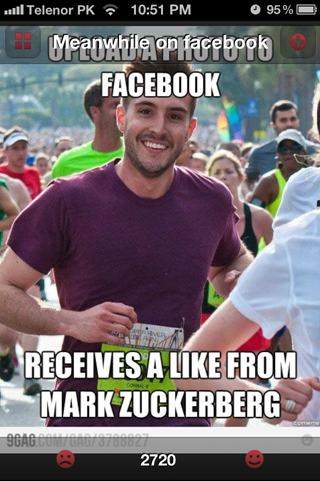 9GAG is a fun way for users to submit and share funny images, and could be described as the Digg of its genre, with the very highest rated making the front page. 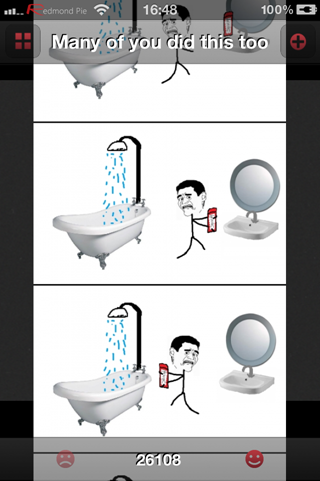 If you’ve seen a funny meme or ‘rage face’ floating about that has made you chuckle, the chances are, it originated from 9GAG. If you, like I, spend a lot of time working at the desk, then you’ll be able to empathize with my opinion that 9GAG is a great way to kick back and enjoy a few laughs. Featuring everything from silly, toilet humor, to the darker, drier area of comedy, there’s something there for everyone. As you may expect, there are various 9GAG apps vying for the attention of the many thousands of devotees, and after testing out a few of them, we’re pretty sure we’ve managed to track down the cream of the crop. 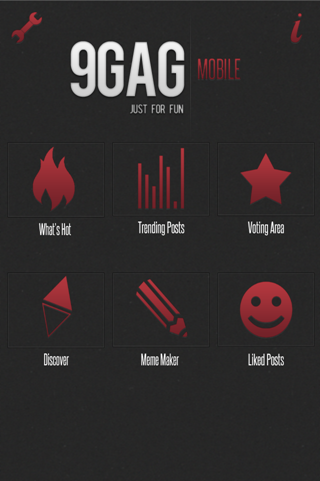 9Gag Mobile by Okaris Apps boasts a plethora of useful features essential to those looking to get their daily fix of online comedy. 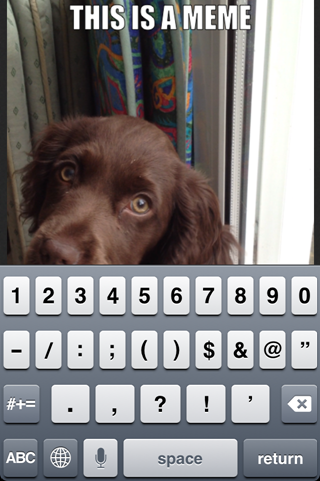 The app operates that familiar ‘freemium’ model, meaning it’s free to download, but is supported by ads. You can remove the ads for 99 cents through an in-app purchase, and if you fancy trying out the meme maker (and uploader), then you can add it to your package for an additional $2.99. 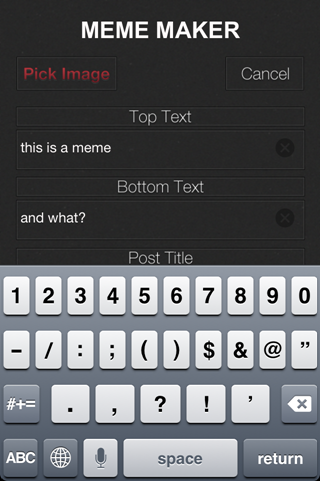 The meme maker is actually pretty cool – you can add images from your Camera Roll, add a top and bottom caption, give your meme a title and upload it straight to 9GAG in a matter of seconds. If you’re not feeling so inspired, you could always simply check out liked posts, trending posts, or what’s hot from the main menu, which then lets you scroll through each category and add your seal of approval if you so wish. The interface – as you can see from the screens, is clean as a whistle, and the black and red compliment each other nicely – reiterating the prominent theme of dark humor. The only caveat, for me, is that the images seem to take a while time to load at times. As somebody who is used to images loading instantaneously, this is something of a let-down. That said, that doesn’t take the shine off an otherwise pretty accomplished app, and if you’re also a fan of 9GAG, then download from the link below! Please be warned that 9GAG contains mostly adult humor, so if you’re looking for an app to keep your youngsters quiet, this certainly is not it! Allavsoft works very good,you can have a try.